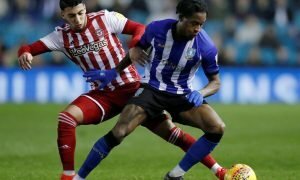 Sheffield Wednesday's forgotten man can be Luhukay's secret weapon next season – agreed? | The Transfer Tavern | News, breakdown and analysis on all things football! Sheffield Wednesday’s forgotten man can be Luhukay’s secret weapon next season – agreed? Considering how close to promotion Sheffield Wednesday came in both 2015/16 and 16/17, last season’s 15th place finish was a major disappointment. This time around, Jos Luhukay will be aiming to get the Owls back to pushing for the Premier League and to even go one step further than his predictors and actually manage to achieve glory at the end of it all. In order to do this, Luhukay will need his whole squad to hit higher levels than they did last season. Fresh blood will also be required over the course of the summer to upgrade the squad in key areas. It really will take the efforts of the entire squad to take the club to the next level and a lack of strength in depth is arguably what has let the Owls down in the past. Looking beyond the regular starting XI, others will have to step up. Matias has been in and around the Wednesday team since his arrival from Nacional, in his native Portugal, back in 2015. Plenty was expected of the former Portugal under-21 international upon his arrival but he’s hardly become a hero of Hillsborough since. Luhukay may well look to Matias, now 29, to up his game and really compete for a starting spot this season. Last time around Matias made no impact for Wednesday and that state of affairs cannot be allowed to continue if the Portuguese wishes to remain at the club. He is now heading into the final year of his contract and must do all he can to secure himself an extension. Doing so will require a big turn around in his contribution but Matias has the capabilities to manage that, especially if Luhukay is able to put a bit of faith in him. 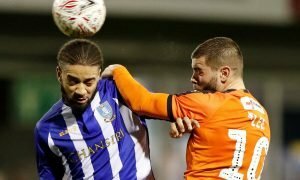 What does the future hold for Michael Hector?